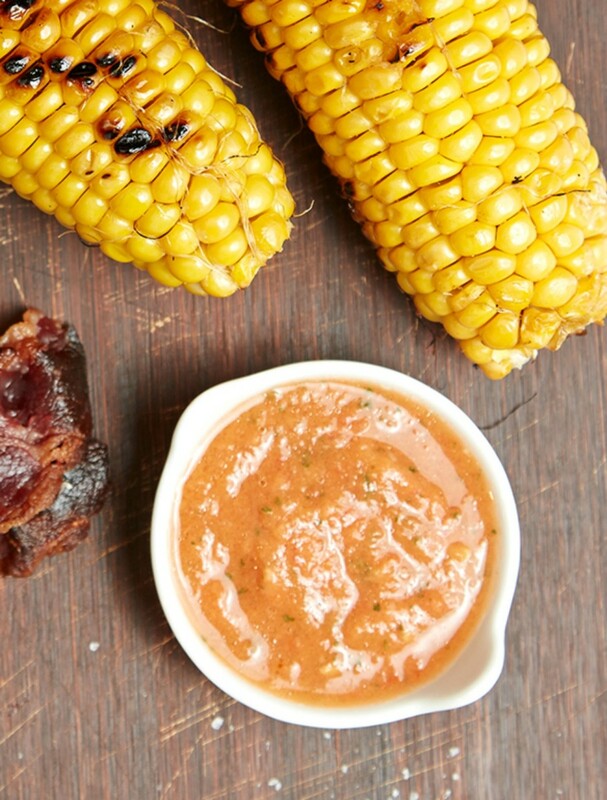 Corn is an awesome summer vegetable. 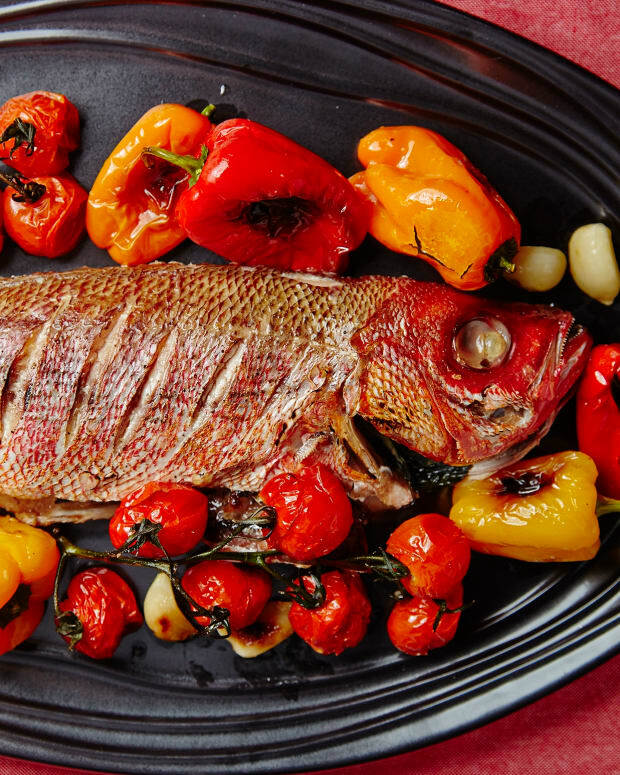 Boiled or grilled it is incredible on its own, but pairs well with so many flavors. 1. Boil in a large pot of water for about fifteen minutes or until tender. 2. 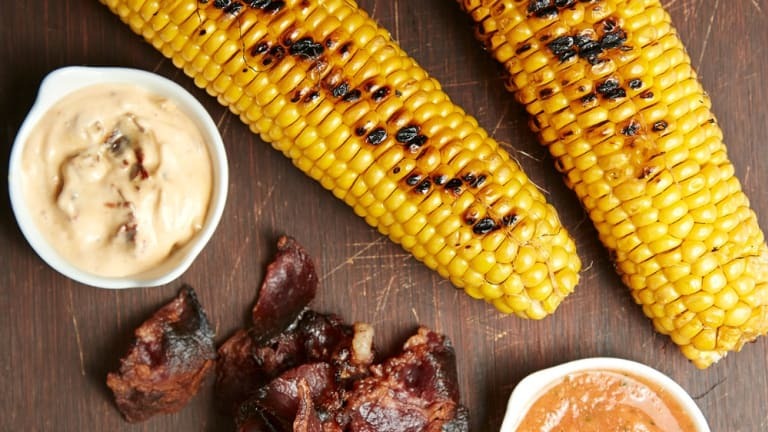 Grill directly on a hot grill for a charred corn result. 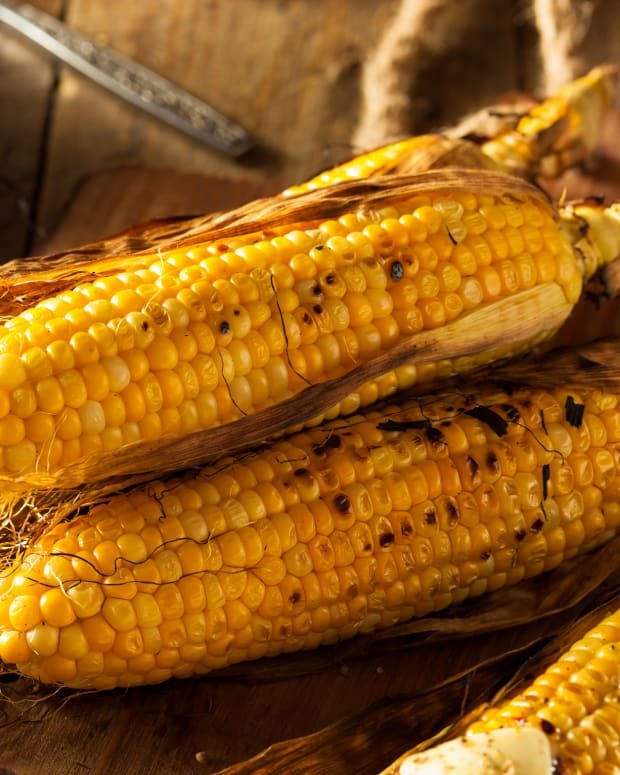 If you would like to grill the corn without the char, simply soak corn with husks in water (to prevent husks from burning) and grill for ten minutes per side on medium heat. 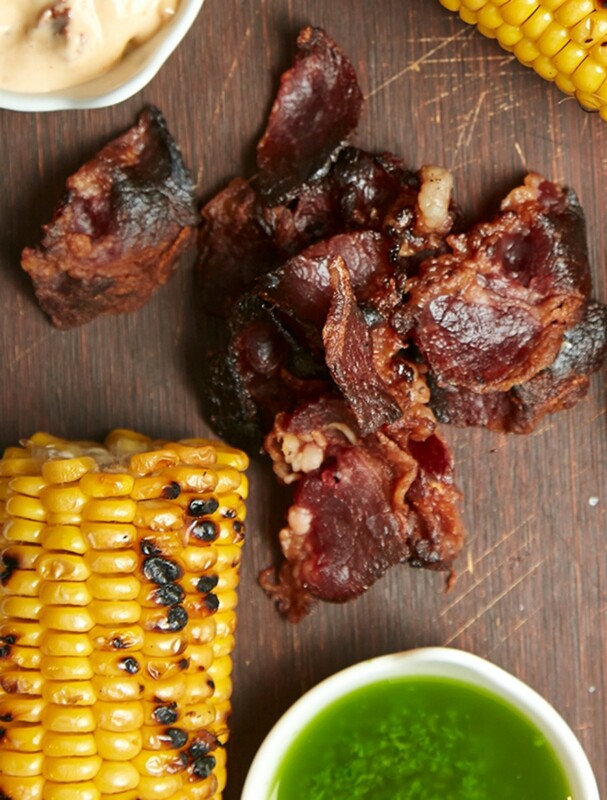 Peel off husks and serve. 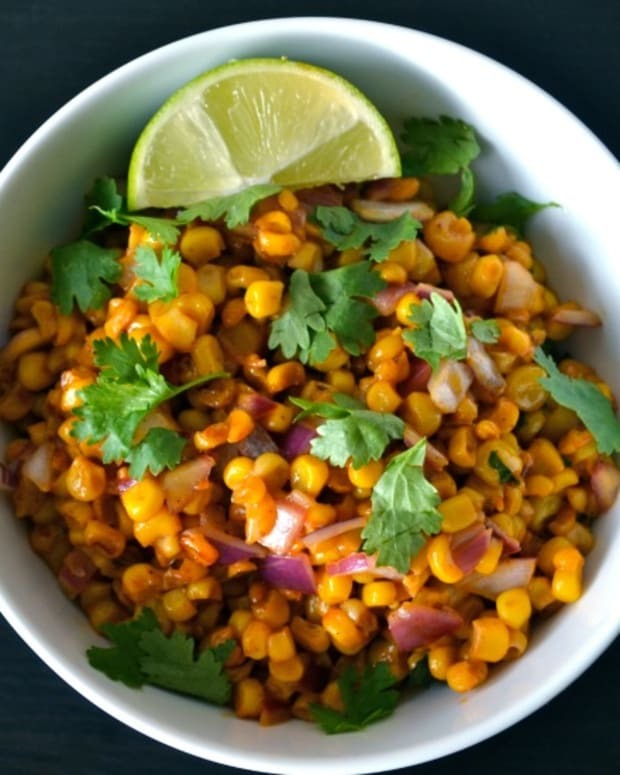 Below are some of our favorite corn toppers so that you can enJOY your corn on the cob in the best way possible, but note all these corn toppers are excellent veggie or bread dips too. 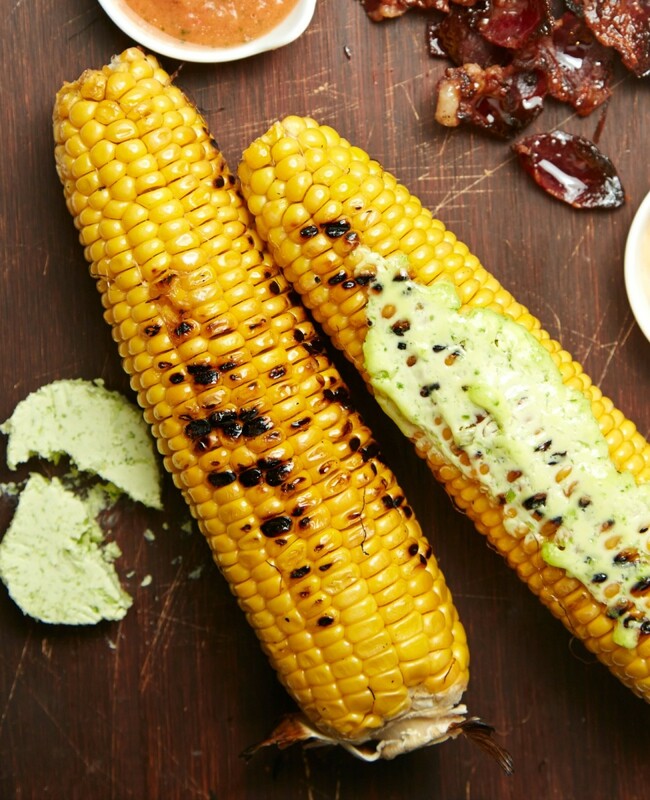 Use any herbs you have on hand for this corn spread. 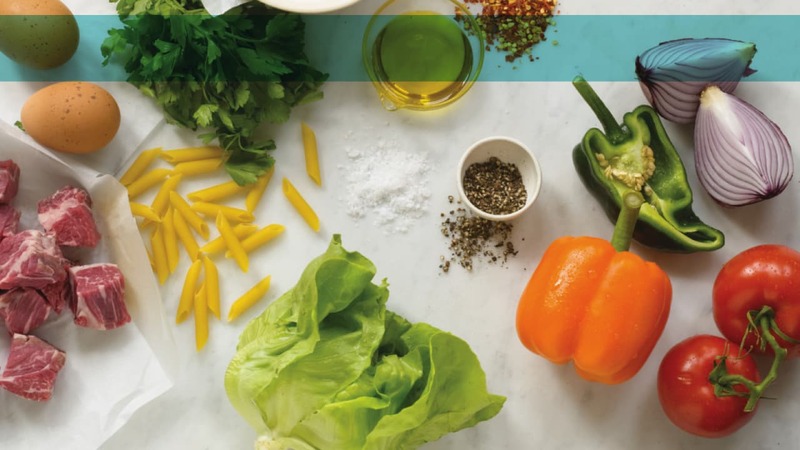 We especially love using basil for its fragrance and flavor. The secret to the bright green color is the blanching process. 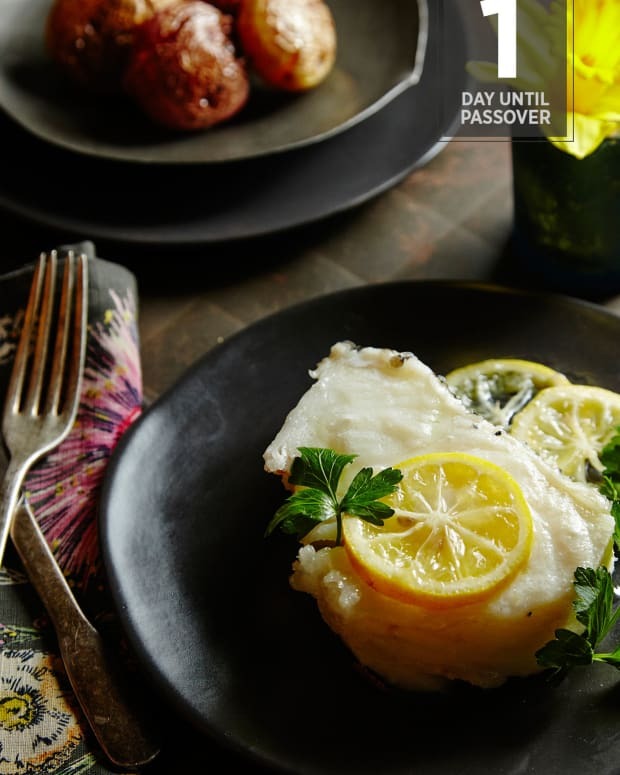 Use this oil to drizzle over pasta or fresh protein, or serve with toasted bread or challah with sea salt and freshly ground black pepper. 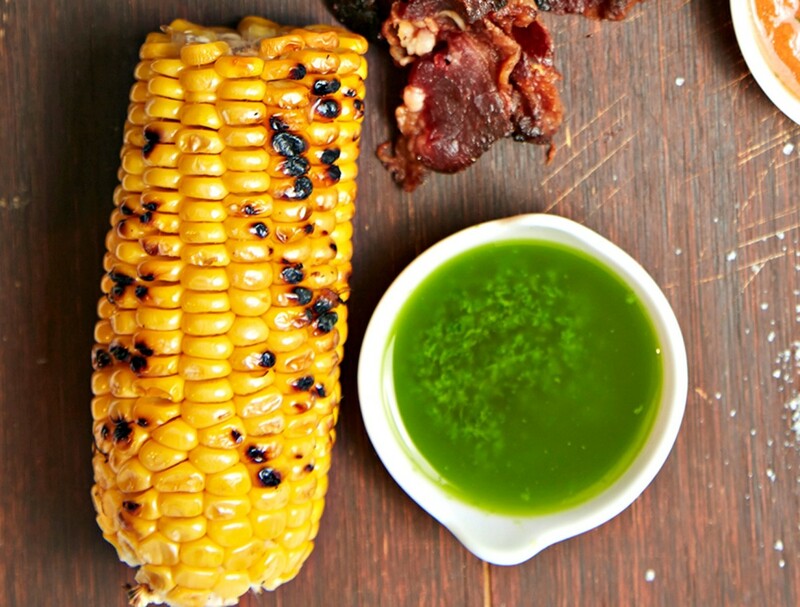 Try this scallion spread the next time you grill corn on the cob. 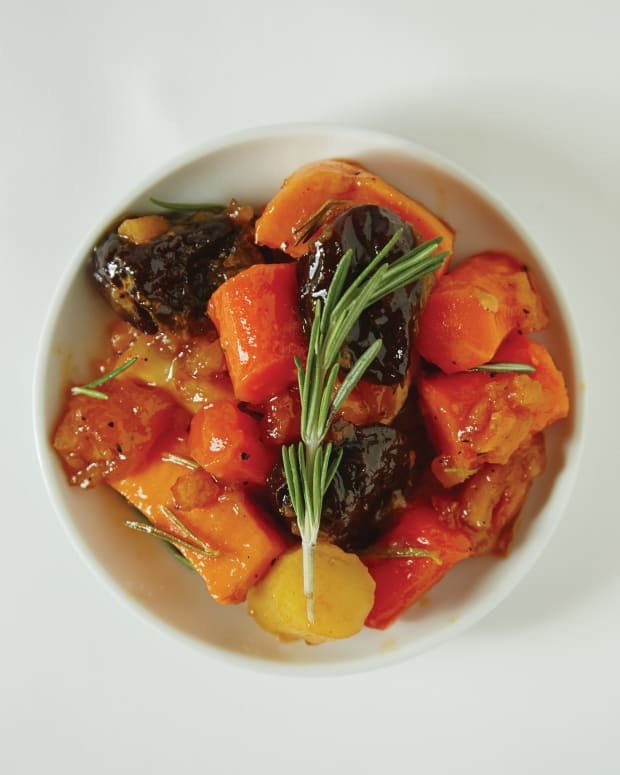 Easy and quick to make, it takes only a few ingredients to make a delicious spread. 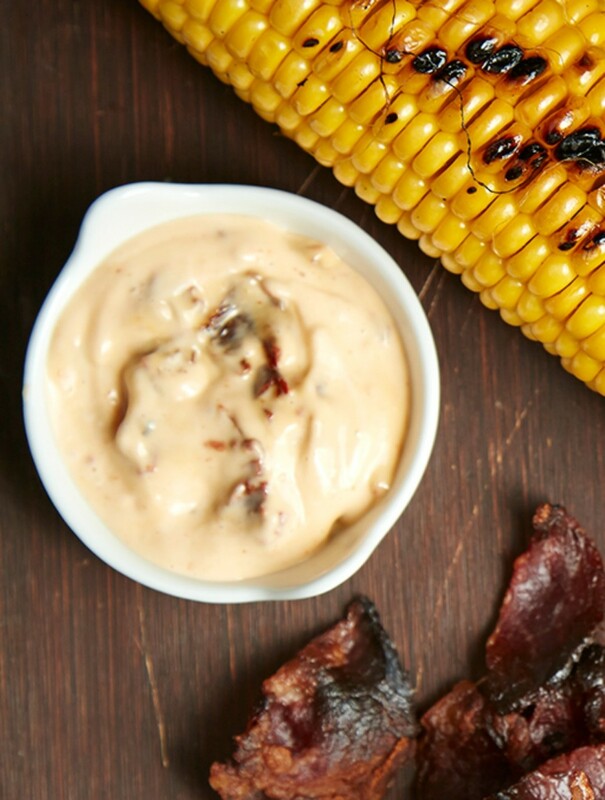 Try chipotle pepper spread on your corn for a spicy kick. Chipotle pepper is a dried smoky jalapeño. You can find them whole in large supermarkets or crushed in a spice jar. 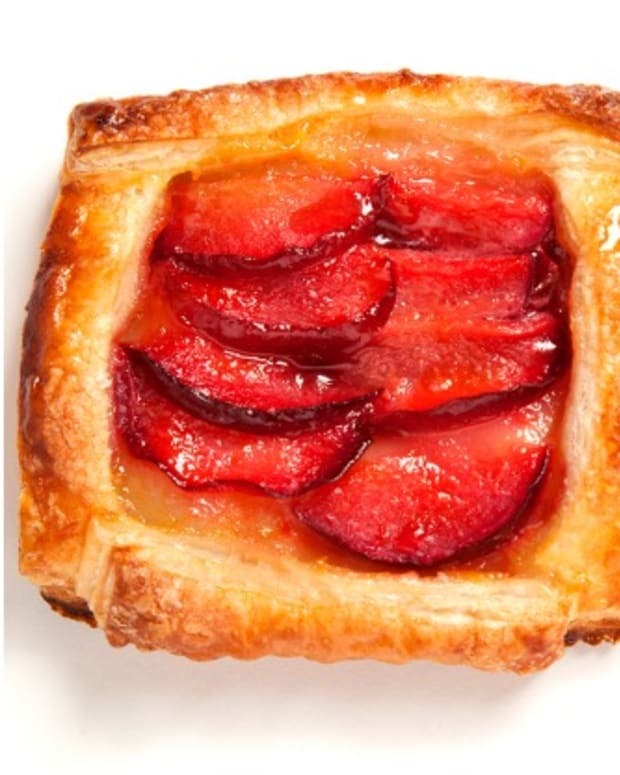 Fun and easy to use, the colorful two-piece design resembles an ear of corn. To use, simply secure the green silicone husk on one end of the ear, and the corn shaped piece on the opposite end. 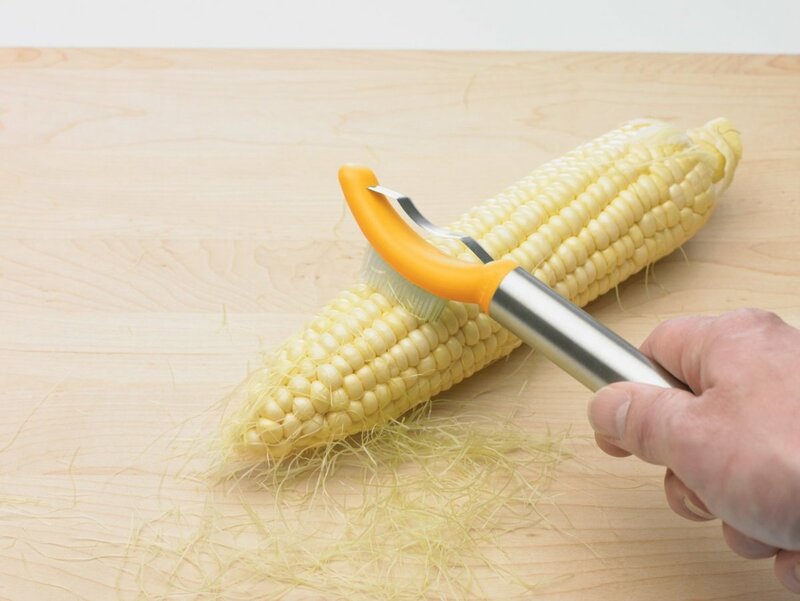 With a smooth and simple twist and push, the Corn Twister begins to strip the kernels off fresh or cooked corncobs with its razor-sharp stainless steel serrated edge and scraping rivets. 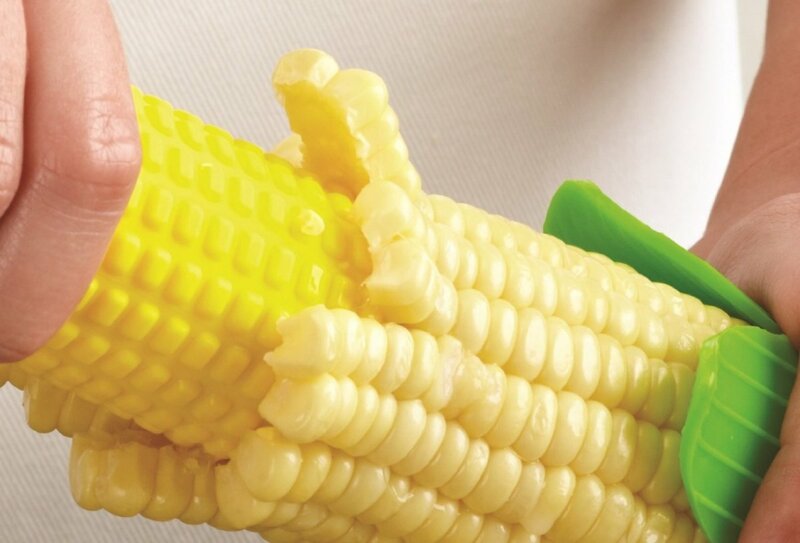 Designed for safety, the Corn Twister protects hands by keeping them away from the cutting mechanism. Available at amazon.com. Progressive Corn Stripper is a two sided corn gadget with bristles to remove silk on one side and a double sided blade on the other to cut the corn. Available at amazon.com.